River valley south of Newport as far as Chale Green. 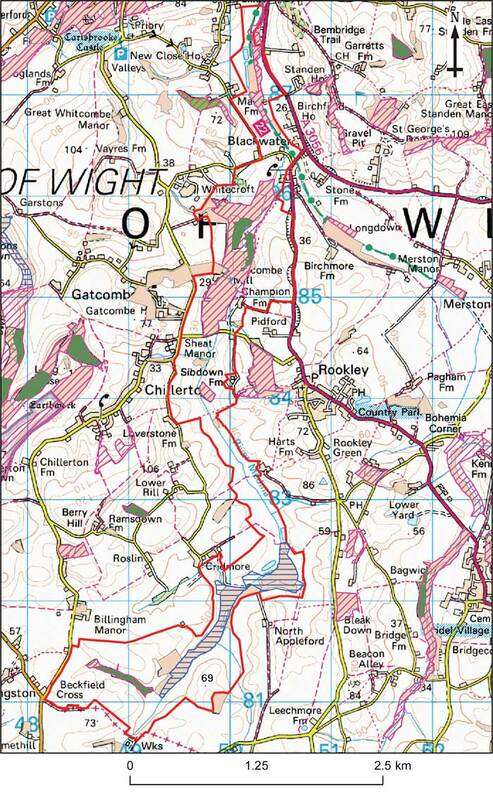 Isle of Wight Joint Character Area: Intensive arable land, sandstone hill and gravel ridges. Rolling arable farmland, with scattered woodland in a wide valley. 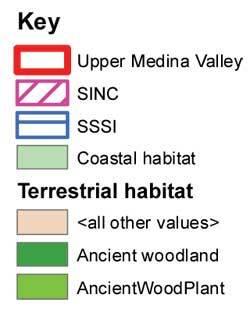 Mudstone, sandstone, and ferruginous sands. Extensive alluvium and peat deposits. Narrow stream heavily modified by river engineering crosses a wide sandstone vale. Irrigation storage reservoirs have been constructed in several places. Footpaths cross the area, but no access along the length of the river.